The port of Newlyn has a rich seam of fascinating stories to tell and none more so than how Ordnance Datum became the bench mark against which all vertical heights, hills and mountains in Mainland Britain are measured. What this comprehensive account shows is not just how much progress has been charted - from the primitive methods of measurement involving a man and a bucket to the sophisticated technology of Global Navigation Satellite systems that now measure data automatically every second - but also the many human stories that it encapsulates. From Liverpool's Jeremiah Horrocks in the 1600's to local families in the 20th century, all those involved in documenting the rise and fall of the tide have contributed to the strategic national significance of the Port and provided Newlyn Pier and Harbour Commissioners with a robust platform for conservation and development. Given our unique geographic location and exposure to the Atlantic's tidal surges, Newlyn has experienced its fair share of challenges to overcome and the 21st century is no exception: climate change and Brexit are our current watchwords. What characterises Newlyn and the people who live and work in it, is resilience in the face of change. 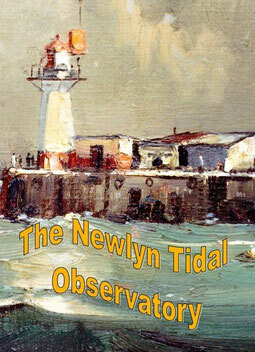 In spite of the inexorable march of automation, the Tidal Observatory has been a constant for the last 130 years and Newlyn has maintained its position as the sole baseline for the assessment of mean sea level. will continue to take pride in the stories of the past as well as create new ones for the future. The Artists' Trail in Lamorna is a celebration of 20 years of the Lamorna Society, its members and their appreciation of the Lamorna Valley- its literature, its social and natural history and the many artists associated with it. The Lamorna Society was formed in 1997 following the exhibition of Lamorna Birch's work at Falmouth Art Gallery. This was inspired by the biography of Birch, A Painter's Laureate: Lamorna Birch and his circle, by Austin Wormleighton, who became the Society's President. Because so many Friends of the Valley attended the exhibition, a guided walk around Lamorna was organised by Keith Gardiner, a Lamorna resident and son of artist Stanley Gardiner. This walk was photographed by Angela Wheeler whose album has informed this guide. 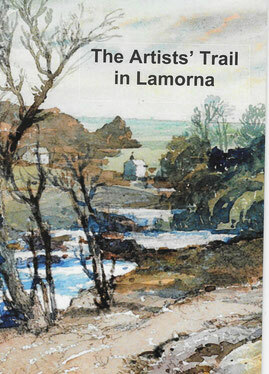 This booklet owes a great deal to that original walk but also to those who have added more recent knowledge, such as Hugh Bedford who has led many walks through the artists' valley, showing visitors the delights of Lamorna and the artists' haunts, and more recently Robert Fishburn. 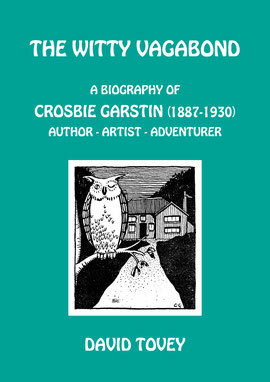 A selection of books written about Lamorna and the artists and writers past and present connected to Lamorna, Newlyn and St Ives.